Editor’s Note: Meeting Ricardo in person was like meeting the man behind the legend. I had heard so many positive comments about his charitable work such as “This guy has a heart for his people.” A couple of years ago I saw the results of that work in a solar cell installation he designed. 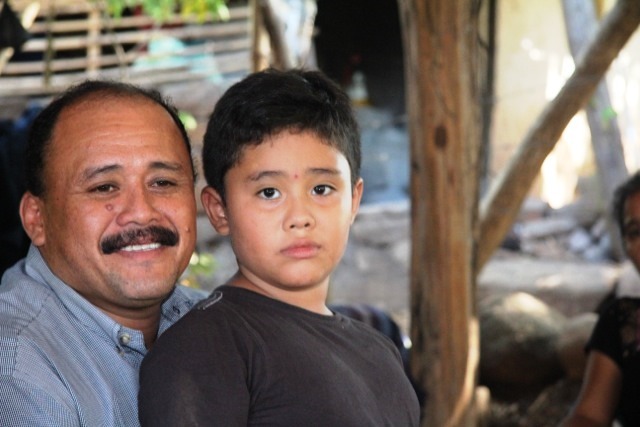 My next contact with Ricardo was via a Skype interview on a sanitation project. Finally in January, 2014, I had the good fortune to meet Ricardo several times in both formal and informal settings. We already have plans to meet on our next trip to El Salvador. I find this soft-spoken guy gentle, kind, amazingly skilled and competent, yet far too modest. What touches me most is his deep devotion to volunteer both his time and skills for the needs of the members of marginalized communities in great need. Two people in my life impact me still in both my personal life and my professional career. The first is my mother, Rosa Aminta. I consider her more than a biological mother. She is also my friend, my partner, and the grandma to my kids who adore her. The values she taught me are the values I try to instill in my own children. She always trusts me. She encourages me to be an honest professional. She reminds me to keep my feet on the ground and focus on my reality. 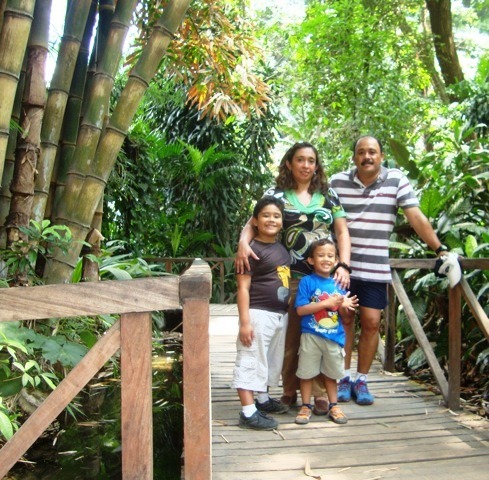 Ricardo’s family in La Laguna Park. The second influential person in my life is one of my college professors from National University named Alfredo Favrin, who taught design and rural habitat planning. 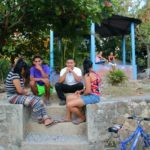 As part of our rural habitat planning class, he took us out into the Community of Cinquera (a campesino community) to volunteer our time. That experience taught me to be a better professional and to improve the habitat conditions for rural people. I saw this work as being vital to improve the lives of the people in those communities as well as to improve the country as a whole. Ever since that college experience I have made a conscious effort to involve myself in volunteering in projects which will improve and enhance the living standards of marginalized communities. I really feel a passion for this work. Professor Favrin now lives in northern Italy, but we still stay in touch. I was born on February 21, 1969. Childhood was very happy for my brother, sister, and me who were always surrounded by our parents and lots of cousins, uncles, aunts, grandparents, and friends. My sister now lives in Bogota, Colombia, with her husband and two sons, Carlos David and Daniela. My faith remains an important part of my personal and family life. I was raised as a Roman Catholic and attended a primary Catholic school located near the National Cathedral, where Monsignor Romero delivered his homilies and where I have seen Pope Juan Pablo II. I was eleven when the civil war began in our country. One dark day in 1980, my grandparents received word that my Uncle Juan, a student at National University, was targeted by the death squads. He was suspected of being a guerrilla member. (This was a common accusation during the war for any college student.) Luckily the person who was the assigned assassin was a friend of my grandpa’s, and thanks to the advance warning, my uncle was able to get a plane ticket out of the country and go to the U.S. on the day he was targeted to be killed. 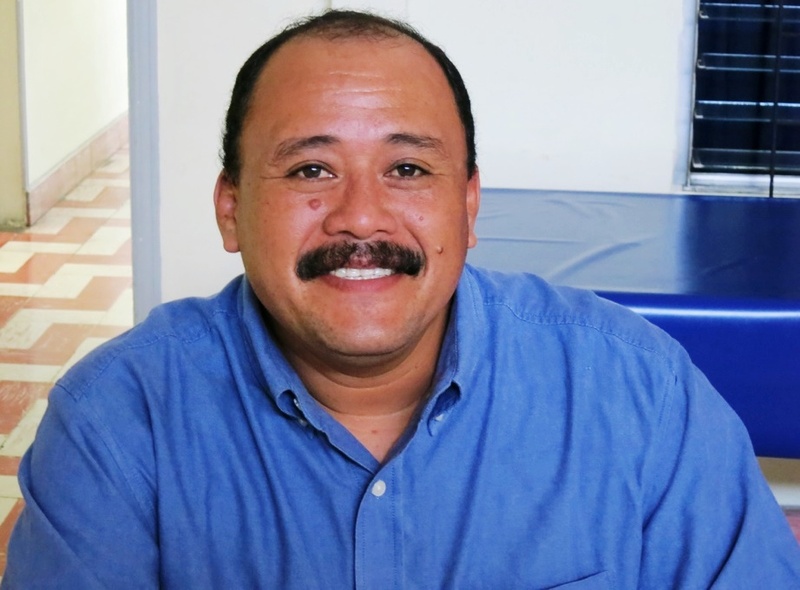 He became a U.S. citizen eventually and makes annual visits here to El Salvador. Some of the friends I made in high school have remained my friends today. After the 1992 Peace Accords were signed, several of my family members, including aunts and uncles who had left the country, were able to return. My daughter, Xenia, was born soon after the Peace Accords were signed which was a very happy day for me. She lives with her mom, and I visit her weekly and provide for her education as conditions permit. My wife, Kryssia, and I have two young boys, Ricardo, Jr., (7) and Carlos Mauricio (4), who is named after my brother and his grandpa, my father-in-law. Kryssia works in a medical lab. Our boys attend private schools. There are no public schools near our home. For fun I like to play baseball with my sons and go surf fishing in the ocean. I have my own professional business and right now have a government contract with one municipality on a project. I spend about 75% of my time doing my paid work. I spend the other 25% of my time on the volunteer projects that involve the poor communities. I often take my boys along with me to expose them to these wonderful people and to help give them good values such as honesty. I want them to see our reality and the conditions of the rural people and how they have to live. I love everything about my country, but I would like to see more security from crime. Ricardo with older son, Ricardito. Some examples of my recent professional “volunteer” projects include the solar cell installation in Puente Azul with the Indiana group, the sanitation project in Metalillito with the Rotary International groups, repairs to Casa Concordia in San Salvador, and other projects there for Maria Trinidad, who serves the homeless. Unrelated to my engineering and architecture work, I enjoy volunteering with friends for other community outreach efforts, also. I help my friend Kiki serve meals to the homeless in downtown San Salvador. I collaborate on some projects of disaster prevention in San Pedro Masahuat, where a poor friend of mine lives. Being a perfectionist is in my character, but I’m not sure if that is a strength or a weakness. The Mayor of Suchitoto spoke kind words of my architecture job there. I find myself able to relate to anyone who needs friends. 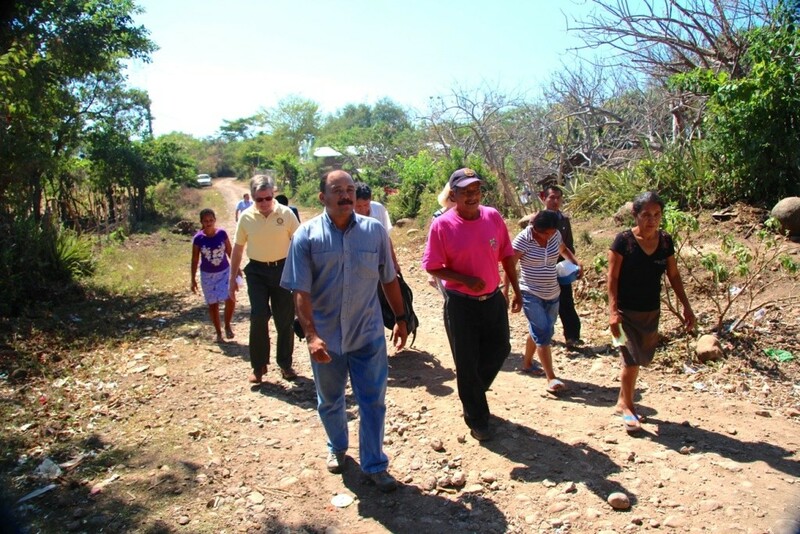 Rotary of San Salvador & Mechanicsburg, PA follow Ricardo and community leader. A year ago I began teaching monthly classes at San Miguel University, sharing my experiences as a local developer in many municipalities. The school now wants me to teach “Local Policies,” and “Public Investment Polices.” I could see myself doing more teaching and writing when I get older. I view myself as someone who can collaborate to give opportunities for the humble people and make my country a better place for future generations. Some day I dream of starting a small business with solar energy delivery or something with ecological vision that my boys can continue.